Our website address is: https://asap.care. The information contained on this site is furnished for information and education purposes. In no event will ASAP be responsible for any incidental, consequential, or indirect damages arising out of a third party’s use of the training materials contained on this website. All products and/or services are used at the user’s own risk. The advice and information provided herein is not intended for legal or medical purposes. These training materials are intended to inform camp directors, counselors, parents, and the community as they strive to improve camp programs safety and child abuse identification and prevention. 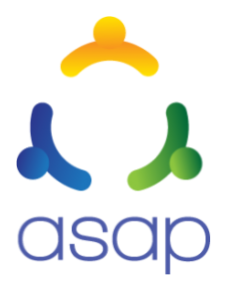 While ASAP attempts to thoroughly address specific topics, protocols and guidelines, it is not possible to include everything necessary to identify and/or prevent child abuse. Thus, this information is intended as a tool for addressing child abuse prevention, rather than a statement of an institution’s legal obligations which may be defined by statute, regulations and/or standards in a particular state. ASAP encourages all personnel to stay apprised of all current and new laws applicable in their state and seek the advice of a legal professional if there are questions.